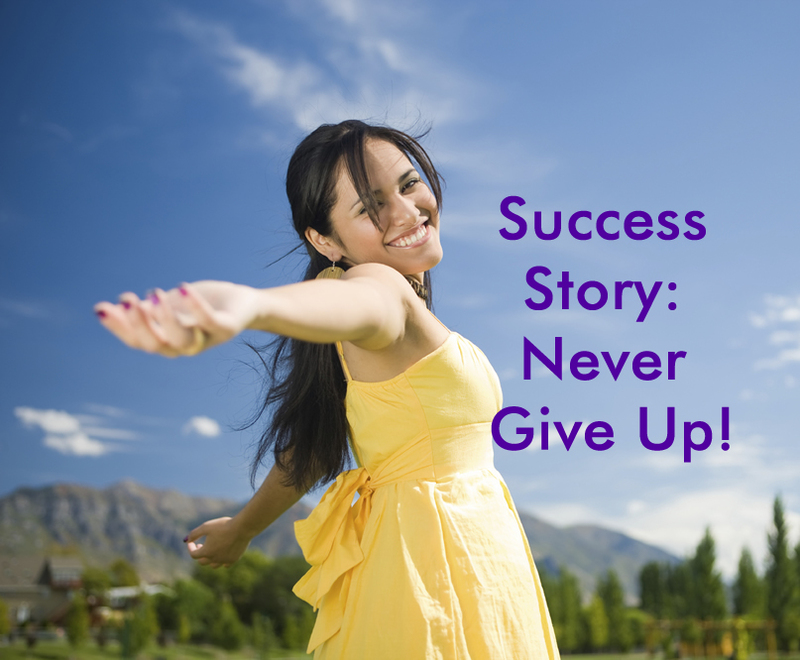 Success Story: Never Give Up! I have known about The Secret since 2006 when I first watched the movie. I immediately told all my closest family and friends about it and decided that this way of thinking fit best into my life. I have always been a positive, uplifting person but in the years before I watched the video I suffered through a lot of trauma. Bad relationships, a divorce, a business loss, job loss and money issues. I felt like I was on a hamster wheel and felt helpless on getting off. After going through the ups and downs of the last 6 years I decided enough was enough and to revisit The Secret and absorb all the other books and DVD’s that Rhonda Byrne wrote and other authors as well. I completely worked on my mind and I started to dream again about all the possibilities that I knew existed for me. I would play her DVD’s all the time and write and journal every day. I would give gratitude and tears of joy for where I was at in that moment, even though it was light years from where I wanted to be. I finally got my BS done in college after putting my intention of earning my degree by Dec. of 2013 which I did. I made more money topping 6 figures in 2012 and then again in 2013 to have two of the most successful years of my life financially. My son was going through issues mentally and I was lost for years on how to help him with his behavioral issues. Around a year ago in 2013, I decided enough is enough and instead of being a victim I got strong mentally and made changes on how I dealt with him and his father, who was blaming me for our son’s behavior. Slowly my son and his dad started changing and today my son has been on the honor roll all year. He went from missing tons of school to getting awards for no absences. My X and I get along better than we ever have. I wrote down intentions for two things for 2014; a career I could expand my talents in by December 2014 and a soul mate to spend my life with by July 2015. Last fall I met an amazing man and we just planned our July 2015 wedding. I was approached by a company to start a division for them in December of 2014. I also wrote an intention for my house to sell in January of 2015 and it did! The amazing thing about the law of attraction is that it is always working whether you believe in it or not. I have tested it so many times and every time it has come true for me. Good or bad. I choose now to always be grateful for the good and every day I give praise to the universe for all the amazing things it has blessed me with. Always focus on the good, get your mind right and I promise you too will experience nothing but a beautiful flow direct from the universe. About the Author: Carrie Gingerich lives in South Bend, IN with her fiancé and their 5 children. Her passion is art, painting and personal development.